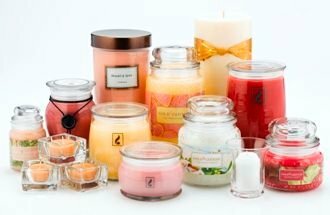 Gold Canyon Candle Co. is a very popular retailer of quality scented candles and candle accessories. Gold Canyon Candle Co are a “home party” or catolog based candle company and can be purchased all across the country through Gold Canyon Candle Demostrators as well as online. Gold Canyon Candles started Christina on her scented candle journey and she highly recommends them. Fluffy. Buttery. Syrupy. Notes of Maple, Brown Sugar, Butter & Vanilla. Effervescent, playful, feminine. Sparkling grapefruit, creamy coconut and dried raspberries. Strawberry, black pepper & musk. Lemon Ice from Gold Canyon was a near perfect experience. I'm a huge lemon lover and oh my goodness was this a good one. Just imagine sweet lemon meets sugar and all blended to perfection. PomLime Whirl scent description - Sunny. Whimsical. Playful. Notes of Kaffir Lime, Red Pomegranate & Iced Raspberry. In this review, Avery tried two "Scent Pods" from Gold Canyon Candles! Scent Pods are their version of melts or others like to call "wickless candles"
If you're a fan of floral scents, you'll enjoy this latest Valentine review by Christina. She tried two scents from Gold Canyon Candle that are sure to "enhance the romance" on your special day of love...Fresh Cut Roses and Love Struck.